Personalized gifts are my favorite to give (and receive) and InkGarden.com has some of the finest online selection available. From cards and stationary to unique gifts for the home and office, InkGarden.com allows you to customize the color, text and design with your own photos and logos or base it on 3,500 designs created by professional artists! I created the most amazing personalized 10” dinner plates for my three children from InkGarden.com. 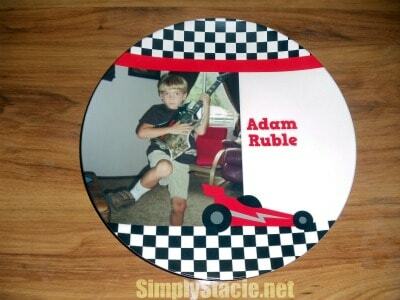 Each one featured their photo and name on a melamine plate with a really neat design and it is truly a gift that will be cherished. My six year old son loves his personalized “Race Car” design and every time he sits down for a meal with his favorite plate, he images himself zooming around the track as the championship driver. 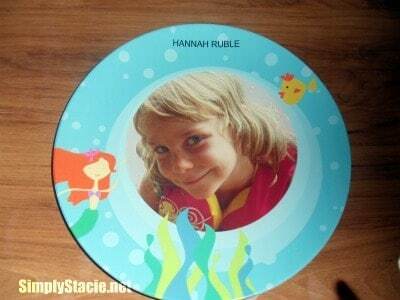 My daughter feels like an undersea princess with her pretty smile as the centerpiece of this wonderful “Mermaid” plate and my youngest son lights up when he is served a meal on his “Robotic” Plate which is colorful and fun. I appreciate that melamine is BPA free and non-toxic. It is also very durable so it has held up well with my three children. Even a few accidental drops on the floor during dinner clean up were no big deal since there was not even a chip on their plates. This is such a great gift idea that is very affordable with prices starting at $19.99 (discounts based on multiples available) and would be perfect for a special birthday party or event too. As you are getting ready for the holidays, InkGarden.com also has a great selection of seasonal products such as customizable invitations, cards, mouse pads, banners and more. I really like the Festive Fall Fleece Blanket which would be a perfect way to snuggle up with a cherished memory on a cool fall evening. It looks so soft and I love that you can turn a favorite picture into a gift that can last a lifetime. You are invited to visit InkGarden.com to find your favorite products to customize for yourself or to get great gift ideas for the holidays. InkGarden.com offers wide product assortment, stylish fresh designs, ultimate customization, super low prices, matching design sets and easy to use tools. From my experience, I can recommend InkGarden.com because I found the website and customization easy to navigate, the customer service was very helpful when I had questions, the selection was outstanding, the quality of my personalized plates is exceptional and the prices are very affordable too. What will you create at InkGarden.com? Birthday Cake Surprise Paper Banner. Thanks!